Serious sizes, serious sound, and our finest hardware yet. 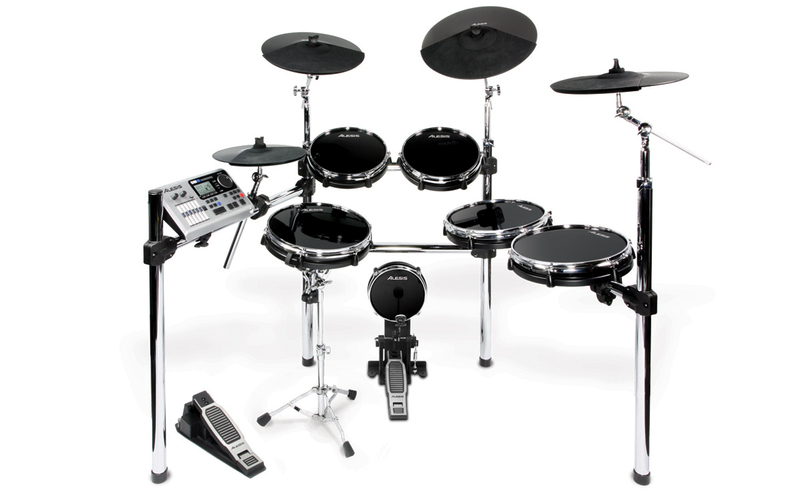 The DM10 X Kit is a premium six-piece professional electronic drum set with 10" and 12" drum pads, 12", 14", and 16" cymbals, the top-of-the-line DM10 module and the best-in-class chrome-plated XRack. With an advanced sequencer and more than 1,000 sounds featuring Dynamic Articulation™ multi-sample technology, the DM10 X Kit will bring you professional capability in a kit that sounds as good as it looks. With the DM10 X Kit we've included a comprehensive set of large drum and cymbal pads, and an all-new XRack. The DM10 X Kit is designed to offer capabilities and features previously only available on kits costing thousands more. The DM10 X Kit features an expansive six-drum, four-cymbal configuration with sizes and spatial relationships that will feel natural to acoustic and electronic drummers alike: a 12-inch snare, two 10-inch toms, two 12-inch floor toms, a 12-inch hi-hat, a 16-inch, three-zone ride cymbal and two 14-inch crash cymbals. Designed with an emphasis on performance and adaptability, the DM10 X Kit’s all-new XRack is rugged, chrome-plated and features an ultra-solid four-post design. New Alesis quick-release clamps secure each pad in place and allow you to rearrange your setup in seconds without tools and without having to the rack apart. A few turns of a T-bolt is all it takes to release a clamp and move a pad. The DM10 X Kit’s snare pad comes with a separate, fully adjustable snare stand that allows you to place the snare pad precisely where you want it. 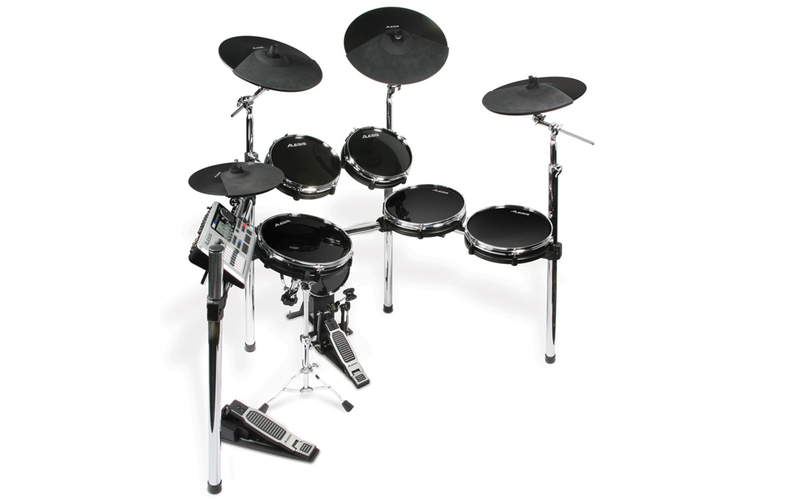 The DM10 X Kit also features Alesis’ acoustic-feeling RealHead pads in 10 and 12-inch sizes. The dual-zone pads feature real mylar drumheads and real triple-flanged counterhoops for the feel you demand. The snare and tom pads are dual zone, enabling you to perform rimshots, rim clicks or assign other sounds such as cymbals, gongs and cowbells on the tom rims. You can use virtually any single or double kick pedal with the RealHead Kick Pad, or split the DM10's kick input with a Y-cable and connect an optional second kick pad for the pedal feel you prefer. 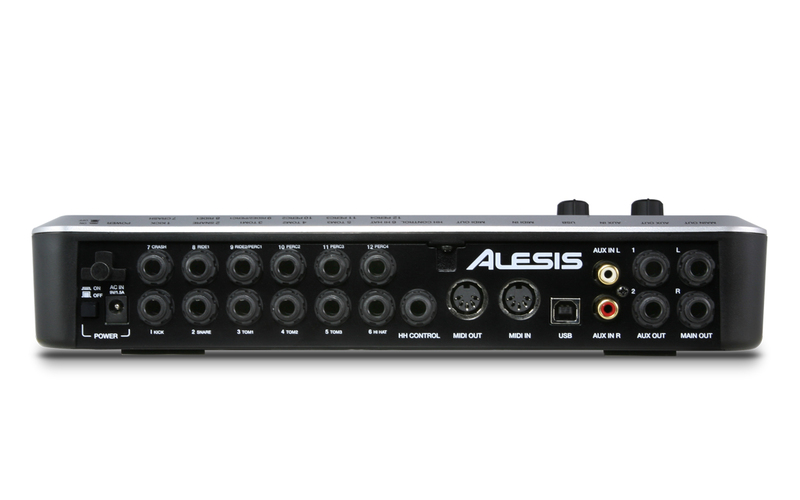 At the core of the DM10 X Kit is the groundbreaking Alesis DM10 module. 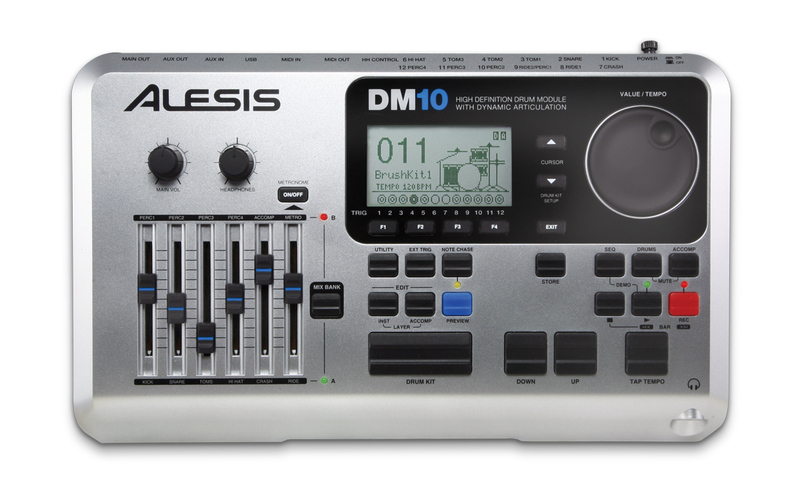 The DM10 hosts a built-in sequencer, metronome, top-panel mixer, and a variety of outputs. It also includes more than 1,000 uncompressed, sample-based sounds that were produced using Alesis’ proprietary Dynamic Articulation™ multi-sample technology. Not only does the DM10 deliver lightning-fast, uber-accurate tracking, the widest dynamic range of any module, incredibly drummer-friendly operation, a massive input section, but it also has the most realistic, natural sound set available in any drum module. Dig deeper into the DM10 module you'll find some of the most in-demand acoustic drum sounds from legendary drum brands, a huge arsenal of top producers' go-to snare drums, real American, Canadian, Chinese, and Turkish cymbals, and a choice selection of classic drum machine and electronic percussion sounds that have fueled the biggest hit records. Discerning ears will notice that each sound is actually a series of different samples; multiple dynamic-level samples and articulations are all built in so as you play harder and softer, the drum or cymbal changes its timbre, not just its volume. This engineered realism is known as Dynamic Articulation™, an Alesis exclusive. You can play with or without reverb for different room sounds and enjoy a wide variety of rimshots, rim clicks and different stick-placement sounds on the cymbals. For example, a hi-hat’s sound depends on a number of factors: how open or closed the pedal is, how hard it is struck, and other variables resulting in 40 different sounds – plus foot chick and heel splash. Put simply, the DM10 X Kit has the most generous drum and cymbal pad configuration we’ve ever offered. Find an Alesis dealer near you to try it out for yourself.